Perilipin regulates the thermogenic actions of norepinephrine in brown adipose tissue. Abstract In response to cold, norepinephrine (NE)- induced triacylglycerol hydrolysis (lipolysis) in adipocytes of brown adipose tissue (BAT) provides fatty acid substrates to mitochondria for heat generation (adaptive thermogen- esis). NE-induced lipolysis is mediated by protein kinase A (PKA)-dependent phosphorylation of perilipin, a lipid droplet-associated protein that is the major regulator of lipolysis. We investigated the role of perilipin PKA phos- phorylation in BAT NE-stimulated thermogenesis using a novel mouse model in which a mutant form of perilipin, lacking all six PKA phosphorylation sites, is expressed in adipocytes of perilipin knockout (Peri KO) mice. 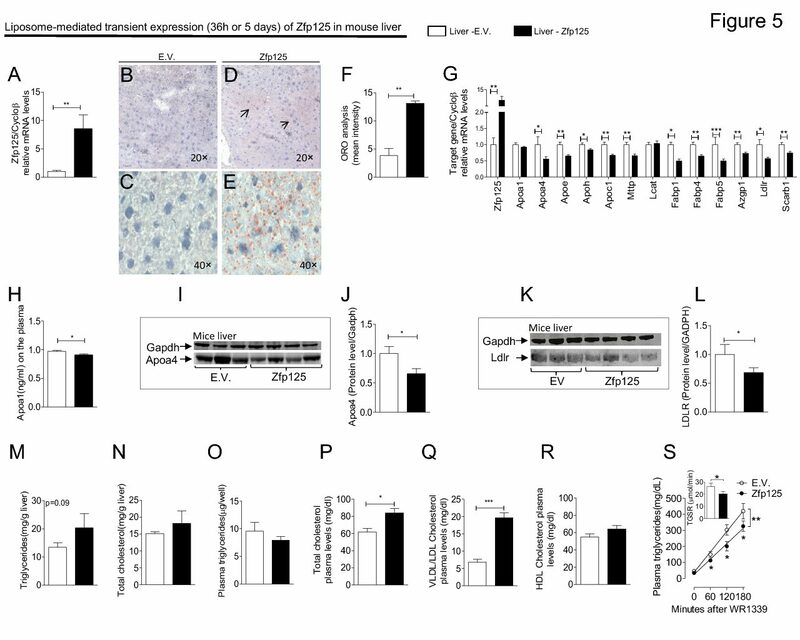 Here, we show that despite a normal mitochondrial respiratory capacity, NE-induced lipolysis is abrogated in the inter- scapular brown adipose tissue (IBAT) of these mice. This lipolytic constraint is accompanied by a dramatic blunting (?70%) of the in vivo thermal response to NE. Thus, in the presence of perilipin, PKA-mediated perilipin phosphory- lation is essential for NE-dependent lipolysis and full adaptive thermogenesis in BAT. In IBAT of Peri KO mice, increased basal lipolysis attributable to the absence of peri- lipin is sufficient to support a rapid NE-stimulated tem- perature increase (?3.0jC) comparable to that in wild-type mice. This observation suggests that one or more NE- dependent mechanism downstream of perilipin phosphor- ylation is required to initiate and/or sustain the IBAT thermal response.—Souza, S. C., M. A. Christoffolete, M. O. Ribeiro, H. Miyoshi, K. J. Strissel, Z. S. Stancheva, N. H. Rogers, T. M. D_Eon, J. W. Perfield, II, H. Imachi, M. S. Obin, A. C. Bianco, and A. S. Greenberg. Perilipin regulates the thermogenic actions of norepinephrine in brown adi- pose tissue.